WordPress is the topmost website development platform which is indeed very popular for the SEO-friendly features and ease of customization when you hire custom WordPress development company or an experienced WordPress developer. To further add to this, the admin panel is very easy to handle and manage. It’s ease of management lets the users of WordPress create website and manage content with no hard efforts. It is so easy to install WordPress as well as initializing one of the best CMS- WordPress, is truly a cakewalk. WordPress is a free and open-source software which any one can use. There are some amazing SEO-friendly features of putting content on the WordPress website. Customization of the theme is not an uphill task with WordPress site development by expert developers. WordPress is probably the most easiest thing that a web developer in WordPress website development industry can think about and one can get started with it. Just a software that easily gets installed on the server of the user as well as the beginner can get started asap with it. It is the doorway to develop creative websites for the experts in the WordPress theme development sector. From a naive programmer to the really expert one, WordPress is definitely for all. If you know nothing about coding, yo can still get your hands on this very much versatile CMS. While a beginner would be able to create a simple looking stunning website with custom WordPress development, an expert would create complex websites to suit the requirements of every client. It is well-known that WordPress is popular for SEO-friendliness of the websites that are created right off the bat. The options to create an advanced SEO-friendly website are offered to the developer and the creator of the website. This means that the websites created with custom WordPress will have broader reach. It will bring more traffic to the business. The websites created using WordPress (which runs 28% of the total websites created on internet) are fully responsive and dynamic to the core. They are mobile-friendly which is the priority of every business. Every business website should be mobile-friendly so that your business can reach to that 80% of the smartphone users that rely on mobile access rather than desktop browsing. The above discussed points are only taken to the exalted level when the website created in WordPress are suited to every type of business niche and category. Tailor-made websites are the demand of every business and WordPress exactly serves what the users command and demand from it. That is the USP of custom WordPress is that it does what others just make false promises. That is why, WordPress CMS development is the most in-trend web platform right now. The dashboard of WordPress is so easy-to-handle and getting familiar with it is so easy that you will look at it as a breeze. It looks like any other dashboard with clear Menu items on the left to make any changes to the website. Also, one can make any changes to the website with a browser in a smartphone. Everything is so simple with the dashboard! The theme repository of WordPress is replete with so many themes of different categories that one can easily choose from them according to the business categories and requirements. Whatever the business requirements and the theme can be chosen from the thousands of options available in the theme repository of WordPress for WordPress site development. So, there are many reasons and benefits of customizing a theme which is suited to the tailored-needs of the website for any type of client. Customization your business website is very important for a website and you can get a very different look for your website with custom WordPress development company. 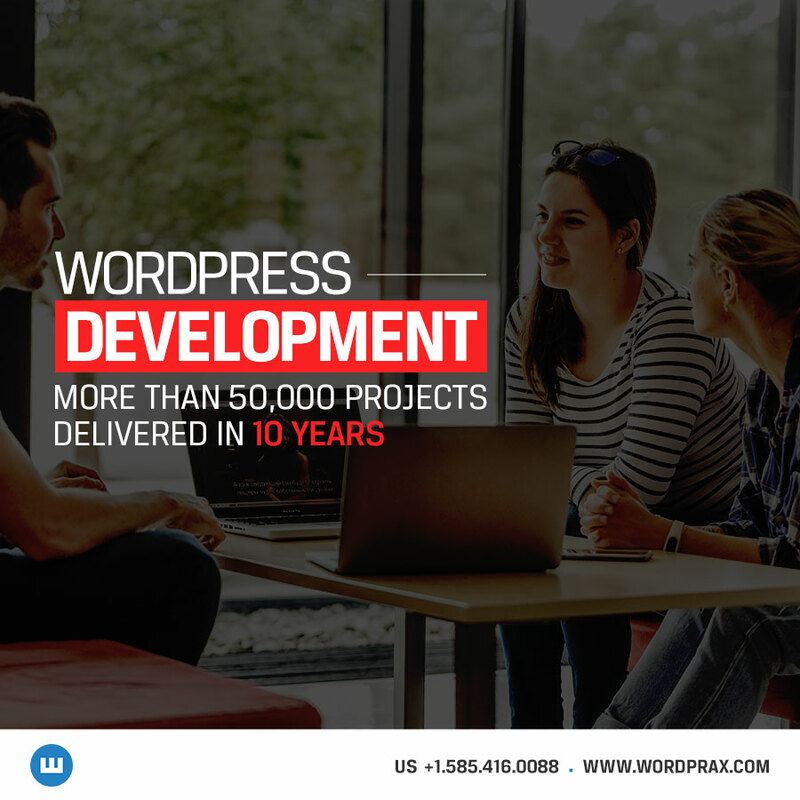 Category: Custom Wordpress, Hire WordPress Developer, WordPress Developer, WordPress Web Development Services and tagged custom wordpress, wordpress developer, WordPress website development by The WordPrax Editorial.